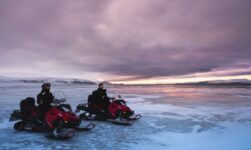 Impress your friends and family with these incredible facts about the Arctic archipelago of Svalbard. 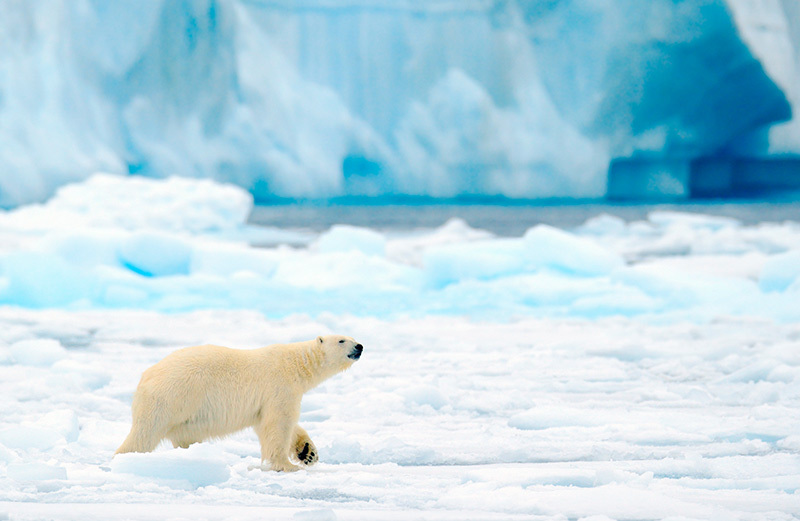 Located on a latitude of between 74° to 82° north, Svalbard is the very definition of remote. Top of so many people's bucket lists, Svalbard is the home of the world's northernmost… well, pretty much anything. Among many other things, the world's northernmost full service hotel, liquor store, supermarket, cinema, library, and kebab van can all be found here. But that's not where my fascination with this Arctic desert (fact number 6!) ends. 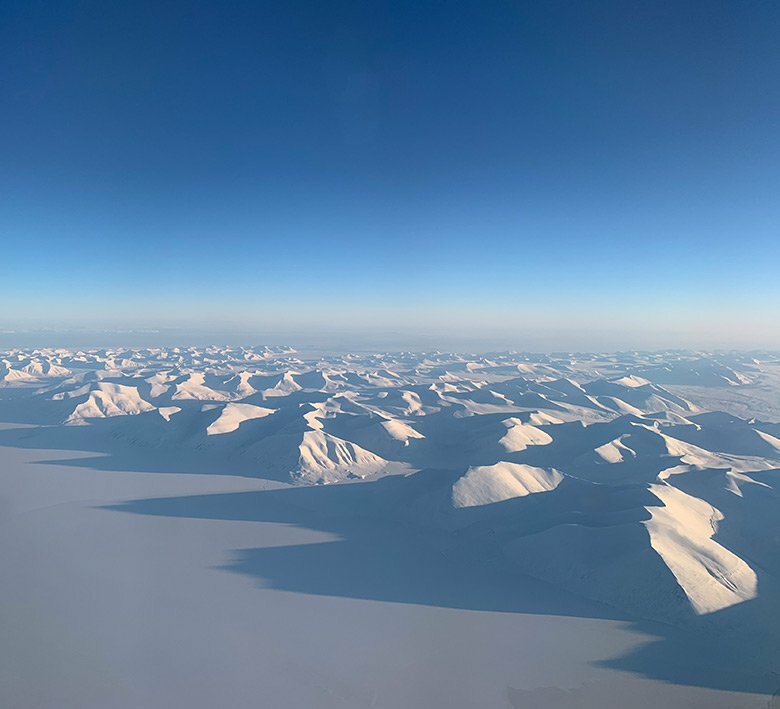 I've pulled together this list of fascinating facts about Svalbard to help you understand more about this remarkable place. Enjoy! 1. Even Norwegians need to show their passport when travelling to Svalbard. That's because while Norway is part of the European Schengen area, the archipelago is not. Flights to Longyearbyen airport leave from the non-Schengen zone of Oslo Airport, and everyone is required to show their passport regardless of nationality. 2. You must carry a gun outside the settlements. In a 2012 law the Governor of Svalbard requires anyone travelling outside the settlements to have the means to scare off a polar bear. This means carrying a firearm is mandatory, and items like flare guns are also highly recommended. It is prohibited to use a weapon within the settlements though. Several of the shops, restaurants and other public buildings have ‘no firearms permitted' signs on the main doors. 3. Anyone can live on Svalbard. Effective since 1925, the Svalbard Treaty that defines Norway's sovereignty over the archipelago has some very interesting conditions. The most curious is that the islands are an entirely visa-free zone. This gives citizens of all treaty signatories the right to live there. This goes a long to explaining the very diverse nature of the people living in Longyearbyen. However, this right doesn't give a ‘back door' into Norway's immigration system. 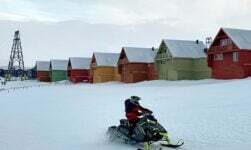 Years of living on Svalbard do not count towards the time required to apply for a permanent residence permit, for example. 4. There are polar bears than people. The population of Svalbard changes seasonally but tends to hover between 2,500-3,000. Nearly everyone lives in the capital, Longyearbyen. But the real natives of these islands are the polar bears. Numbers have actually increased of late and are said to number around 3,500. The bears tend to stay clear of the settlements, although hungry bears do sometimes approach buildings out of desperation. 5. Seven of Norway's 47 national parks are on Svalbard. Norway's national parks are created to ensure the preservation of nature for future generations. They are scattered all over Norway, with 85 percent of them being mountainous. 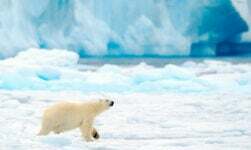 Sixty percent of Svalbard's land is protected. The seven national parks are: Forlandet, Indre Wijdefjorden, Nordenskiöld Land, Nordre Isfjorden, Nordvest-Spitsbergen, Sassen-Bünsow Land, and Sør-Spitsbergen. The mountains, glaciers and islands of Nordvest-Spitsbergen National Park are home to historical monuments including former whaling stations and burial grounds. 6. Svalbard is classified as a desert. 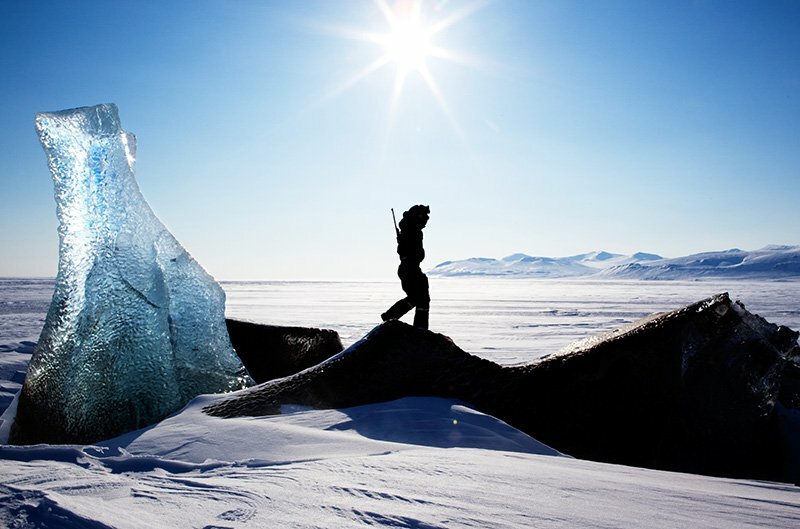 Because of its rock and ice, cold temperatures and low humidity, Svalbard falls into the northern part of our planet known as ‘Arctic desert'. The area receives minimal precipitation, and the air is almost as dry as it would be in a ‘hot' desert. However, average temperatures on Svalbard have increased rapidly over the last few years and the climate is becoming wetter as a result. Earlier this year, Svalbard recorded its 100th consecutive month of above average temperatures. 7. Less than 10% of the landmass has any vegetation. Much of the islands are covered with rock and ice, making it nearly impossible for vegetation to grow. See the photo just above to appreciate what this looks like! However, nearly impossible is not the same as impossible. The flora of Svalbard is surprisingly diverse, albeit in small areas. 8. Svalbard could save humanity as we know it. 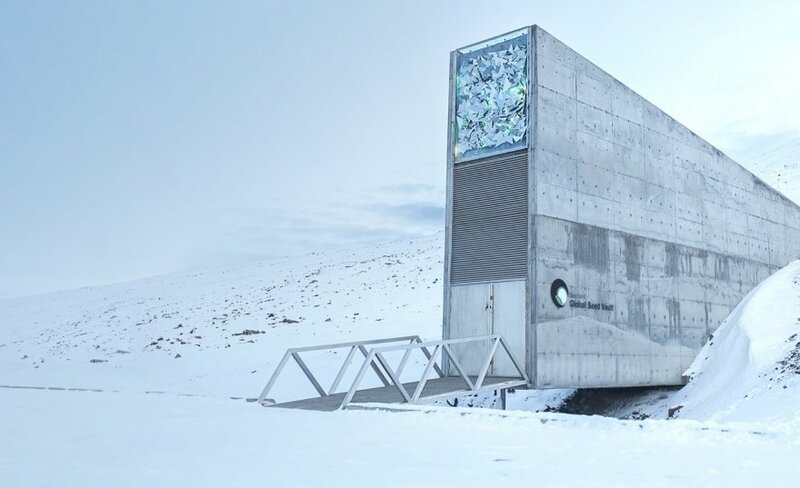 Opened in 2008, the Global Seed Vault is built into the bedrock above Longyearbyen Airport. Almost one million seed samples from all over the world are stored here, with a total capacity for up to four times that. It's commonly believed that the vault's purpose is to help humanity reboot in the event of a major global disaster. While that's true, the vault has already proved its worth. In 2015, the Vault returned some seeds to Syrian scientists working to preserve and duplicate their seeds in the face of conflict. 9. You can see the northern lights during the day. It's well-known that to see the northern lights you need darkness, which means travelling to the north of Norway in the winter. 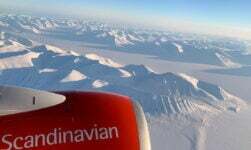 But Svalbard is so far north that the sun doesn't rise for four months during the winter. For almost three of those months, it's completely dark all day, making it possible to see the aurora borealis at any time of day. In October and February you can enjoy the stunning blue Arctic light during the daytime, and hunt the northern lights at night. 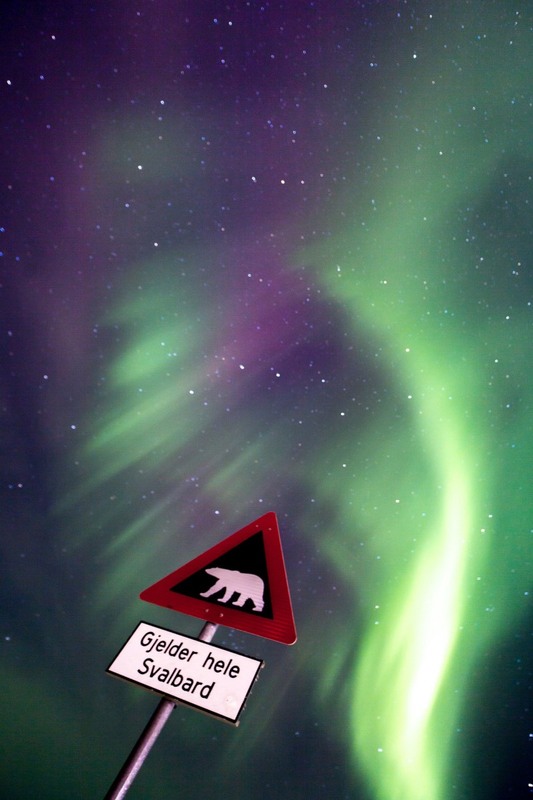 The northern lights at night, or is it daytime? 10. You are not allowed to die on Svalbard. Because of the permafrost on Svalbard, burial isn't possible as bodies simply won't decompose. However, there is a small cemetery, but it stopped accepting ‘newcomers' in the 1950s. One of the reasons was the fear that the preserved bodies may still contain traces of a flu virus that killed seven miners decades before. 11. You cannot give birth on Svalbard. There's no such thing as the circle of life this far north. Just as you can't die, you can't be born on Svalbard either. 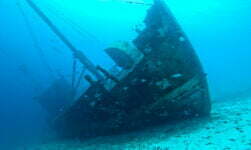 When a pregnant women has a few weeks remaining before her due date, she must travel to the mainland to give birth. 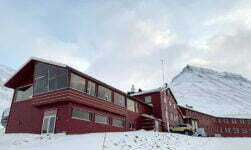 However, there are plenty of children living in Longyearbyen! The town's main settlement is home to a kindergarten, a school and a youth club. 12. You take your shoes off when entering buildings. This tradition dates back to the time when the only people who lived in Longyearbyen were miners. To prevent the black dust from covering the interior of buildings, it became commonplace to remove outdoor shoes at the door. This tradition continues today, and many museums and hotels still ask you to remove outdoor footwear. There is usually a shoe rack or even a whole room for this purpose, and many establishments provide slippers to use while you're inside. 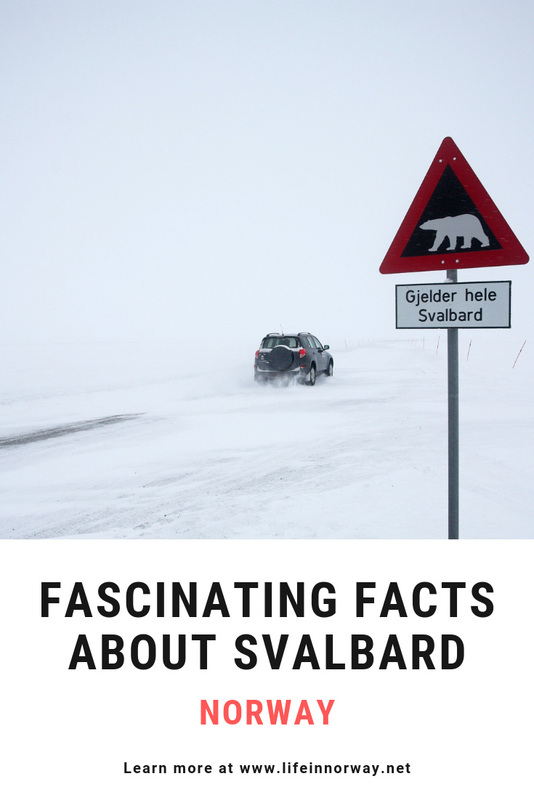 Do you have any other Svalbard facts? Feel free to share them in the comments below!